These online Critical Skills programs are designed to introduce you to the core skill areas for the workforce of the future. The trainings will help you develop key critical skills areas, and provide you with additional learning resources to continue on your journey. Click the “Sign Up Now” button below. Check your email for confirmation from RealizeIT Learning. IMPORTANT: Activate the course link within 24 hours. (You will have 30 days from activation to complete the course). Need help with registration? Contact support@realizeitlearning.com. Our commitment to provide healthcare access anywhere and the fast pace of technical innovation will continue to create new learning challenges for all healthcare workers – whether we work in a clinic, hospital, office, or in the field. 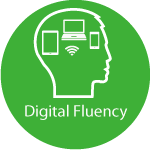 The Digital Fluency course is your first stop in a lifelong journey of building the core technical skills necessary to keep up in a changing workplace environment. Being “digitally fluent” means being able to adapt and embrace new technology at work at and home. Digital Fluency is for all Kaiser Permanente employees, beginners and experts alike. No matter your comfort zone with using technology, this course will introduce you key changes happening at Kaiser Permanente and provide you with the tools to learn more. Delivering excellent care requires employees to engage with members by listening, showing empathy, and communicating effectively. Patients are now able to “shop” around for healthcare more than ever before and Kaiser Permanente is shifting their focus to a consumer first approach. The Consumer Focus course will introduce you trends in healthcare as well as your role in KP’s Experience Standards. Join the journey with thousands of others to learn what Consumers expect and how to be an active member of the KP community. Consumer Focus is designed for every Kaiser Permanente employee. This course is a great opportunity for you to learn about how a consumer-first approach is changing the way Kaiser Permanente delivers care. This course will also provide additional resources to sharpen your skills. 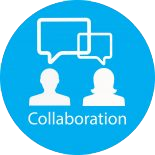 The workforce of the future will require more collaboration between team members and increased communication on all fronts. By understanding diverse perspectives and backgrounds, we can all deliver higher quality care. Critical thinking skills are essential to evaluating and implementing new practices. 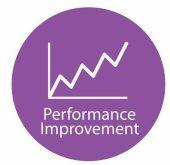 The pace of change will continue to speed up, and a keen eye for improving processes is essential.